On-air challenge: Every answer is the name of a country, for which I’ll give you an anagram. For example, PANE + L = NEPAL. The added letter at the end of the anagram will always be the last letter in the name of the country. Last week’s challenge: This challenge came from listener Joe Krozel of Creve Coeur, Mo. Name something you see when going to the movies, in two words. Change the sixth letter to an R, and you’ll get something you might buy at a grocery, in three words. What things are these? Winner: Eugene Clausen of Lincoln, Neb. This week’s challenge: This challenge might require a little research. Name a country. Remove its last letter. The remaining letters can be rearranged to spell a word that means “country” in that country’s main language. What country is it? If you know the answer to next week’s challenge, submit it here. 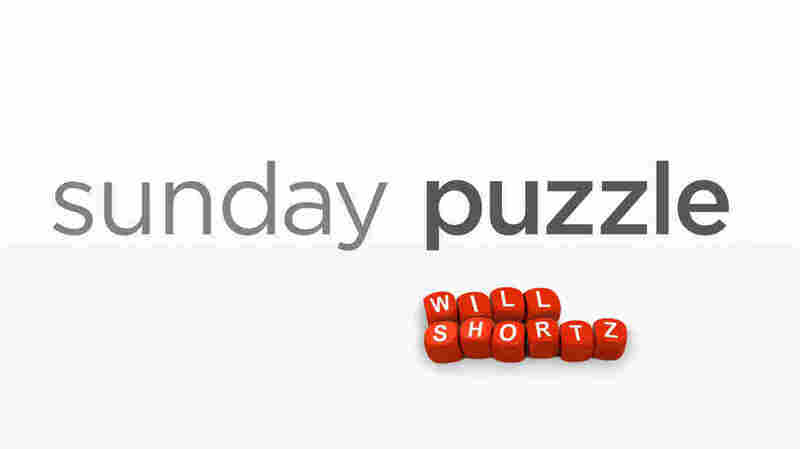 Listeners who submit correct answers win a chance to play the on-air puzzle. Important: Include a phone number where we can reach you by Thursday, April 11 at 3 p.m. ET.